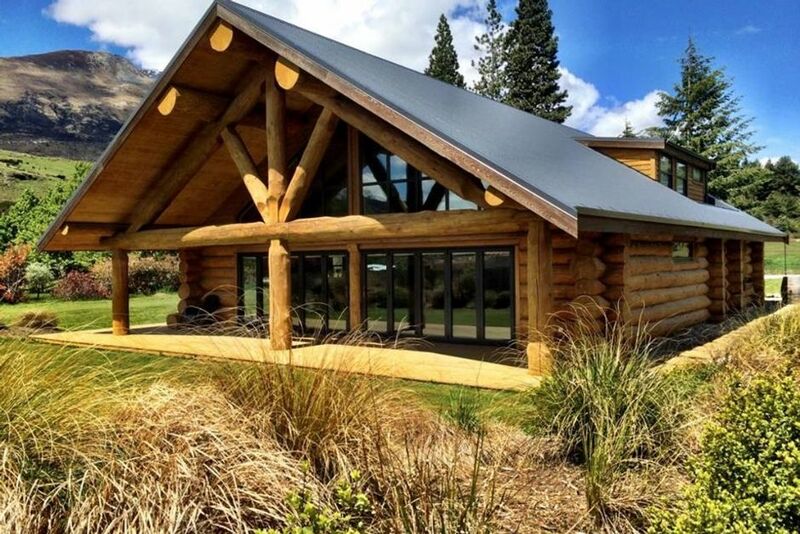 This large 3 bedroom Log House is newly built, with luxurious finishings. It is an ideal escape to the mountains located in the township of Glenorchy - Gateway to Paradise and Mt. Aspiring National Park. Glenorchy boasts access to multiple World Class walking tracks, and attracts visitors for hiking, hunting, fishing, boating, bird watching, horse trekking, etc... The Log House is the ideal place to unwind after a day in the mountains. Enjoy a drink on the deck with stunning mountain views. The Log House has been luxuriously appointed for your comfort - comfortable U Shape Couch, 3 Comfortable Super King Beds, 1 King Bed, 2 Bath Tubs, and fully equipped kitchen. Glenorchy is a 40 minute drive from Queenstown along beautiful Lake Wakatipu. There is a high chair in the house and a portacot is available by request. 1 Night Bookings Can be Accommodated if there is a 1 night gap in between bookings or sometimes for last minute requests. Please inquire to confirm if this is possible. We accommodate last minute bookings whenever possible. The house itself is beautiful and the location in Glenorchy is amazing. It is not as remote as we had thought as the town has grown around the house. However, it is an easy walk into town and there are many hiking trails within a short drive of the house. Our group of 7 fit comfortably and we thoroughly enjoyed our stay. Beautiful location and property is a great size. It’s a lovely big house. We booked it for our wedding getting-ready, which provided the bride and the bridesmaids great space. Only trouble is it didn’t have a full length mirror and was a little too dusty for my wife who has respiratory allergies though. The property was absolutely gorgeous, it had the most stunning veiws! The property was absolutely gorgeous, it had the most stunning veiws! It was super cosy and sooo warm! I was a bit worried it would be cold as i couldn't see any heating options in the photos, but it's all underfloor heating. 10/10 would recomend this place to anyone, and would love to stay again! The house was amazing just I didn't realise there were houses around it.